In addition to teaching at the University of Washington, Scott is often invited to give talks on conservation, environmental ethics, and improving student learning in college courses—particularly in the sciences and across all student populations. Author talk about "Saving Tarboo Creek" in particular and land / garden restoration work in general. At the Washington Native Plant Society November 1 — Mountaineer's Program Center in Magnuson Park in Seattle. Author talk about "Saving Tarboo Creek" and land restoration projects big and small. This event is sponsored by Beta Beta Beta, the biology student honor society. At the Allen Auditorium in the Allen Library on the University of Washington campus. 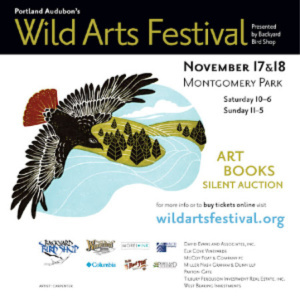 Montgomery Park, 2701 NW Vaughn Street, Portland, OR, 2701 NW Vaughn St.